This ceramic ring is more comfortable and lighter than any other ring we carry on the entire website. 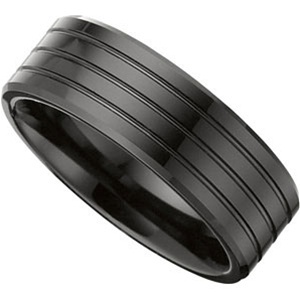 Ceramic wedding bands are becoming more and more popular because of the wide range of colors you can order them in. This classic ceramic ring incorporates 3 grooves for a classic yet unique look. This is a custom special order ring made for you in the exact size you need.